Visiting the Luxembourg Palace and the Senate in a very interesting and enriching experience, don’t miss it ! To do so, we advise you to book your parking space in advance, at the Marché Saint-Germain car park, located 6 minutes on foot from the Palais du Luxembourg. Or at the École de Médecine car park, situated just a 7-minute walk. 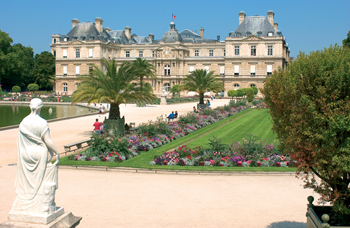 Built in the early 17th century, the Luxembourg Palace has been the seat of the French Senate since 1799. Visits are organized on Mondays, Fridays and Saturdays, except if the senators are in office (reservations : (+33) 01 42 34 20 60 for groups and (+33) 01 44 54 19 30 for individual visitors). You can also attend a Senate session, most of which often take place on Tuesdays, Wednesdays and Thursdays (reservations : (+33) 01 42 34 20 60 for groups and (+33) 01 42 34 20 01 for individual visitors).